Mac Mannes, Inc. Reported a 195 Percent Increase in Sales. Bethesda, Maryland-based distributor Mac Mannes, Inc. (UPIC: macmann) recently reported a 195 percent increase in sales this September over the same month last year. Mac Mannes says its clients continue to invest in promotions, addressing objectives like increasing brand awareness, customer good will and employee retention. Mac Mannes, Inc. is a full service promotional branding agency specializing in the development of promotional products, corporate apparel, awards and incentive programs. Sales revenues place us in the top 1% of our industry nationwide. We are the foundation that Washington’s brands are built on. After 35 years on MacArthur Blvd. 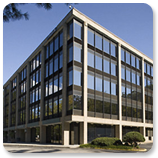 in Northwest Washington, DC, Mac Mannes is moving to new headquarters at 6400 Goldsboro Road in Bethesda, Maryland in June 2008. The new space with feature more office and less warehouse facilities. “Warehouse space on MacArthur Blvd. is not the best business decision and the new facility will meet our expanding office needs.” says President Chris Huebner. 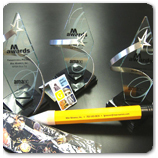 Mac Mannes’ takes First Place at AMA M Awards – Again! For the second straight year, Mac Mannes, Inc. won first place in the Promotional Products category at the American Marketing Association DC Chapter’s annual M Awards. 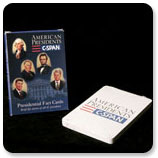 Mac Mannes had two entries to become finalists, PBS’s Car Talk Car Air Freshener and George Washington University's Minimap. The fold-up minimap, given to incoming students, took first place. Mac Mannes, Inc. promotes Scott Gibson, James Gross, and Kathy Siciliano to the positions of Vice President of Sales; and Patty Schlesinger to Vice President of Operations. Mac Mannes, Inc. won first place in the Excellence in Promotions category at the Chesapeake Promotional Products Association’s inaugural PEAKE Awards. The winning piece was the minimap produced for incoming students at George Washington University. Acsys softball team was in the midst of a horrible mid-season winless streak. They showed up at games in an assortment of unmatched t-shirts. After Mac Mannes provided them with sharp looking jerseys, they won their first playoff game 9-0. It's gotta be the jerseys! Mac Mannes was once again selected to join the industry's (PPAI) Multimillion Dollar Roundtable. The roundtable represents less than 1% of industry distributors. Mac Mannes achieved the million dollar silver level, the highest ranked firm in Washington! McLean Soccer won the youth soccer state championship this year. 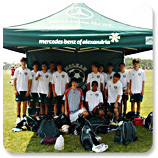 The tent frame we provided, sponsored by Mercedes Benz of Alexandria, must have kept them cool and refreshed. 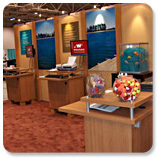 Wausau Financial received first place for their tradeshow booth at ISAS in Minneapolis. We think the hook was the fishing bobbers were provided which were used as fish bowl giveaways. Much like Mac Mannes, American Service Center is a Washington institution and is celebrating its 70th year in business. Mac Mannes provided lapel pins for the sales staff, patches for the service staff uniforms, licenses plate for the cars on the lot, and commemorative polo shirts for their big 70th Anniversary celebration. Mac Mannes is proud to announce a broad sweep in the Promotional Products category at this year's DC Chapter of the American Marketing Association's M Awards. Mac Mannes had three entries to become finalists - National Pest Management Association's "Bug Tie", Profiles Placement's "Don't Buy Talent, Rent It" bottle opener and Fat Cat Creative's "Napkin Business Card Plan". The bug tie took top prize!!! Mac Mannes celebrates the 12th anniversary of an old adage confirmed - any press is good press. In April 1993, the Washington Capitals hockey team had a playoff game against the dreaded Pittsburgh Penguins. 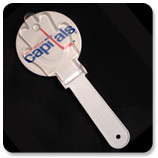 HealthPlus, a local HMO later acquired by New York Life, was a corporate sponsor for the team and negotiated to give-away HealthPlus & Capitals imprinted "clappers" at the event. The item was similar to a ping-pong paddle but with acrylic hands on each side that made a very loud clacking noise when shook. As the Washington Post stated, "It was 5-0 Capitals, when the building got as loud as it's ever been." In the ensuing frenzy, the clappers where thrown on the ice, halting play for over twenty minutes causing quite an uproar. HealthPlus' marketing manager was at his desk early the next morning awaiting the inevitable call from the CEO, expecting to hear an earful. Instead, he received praise for the best advertisment the company had ever had! The aftereffects were so strong that the NHL banned the clappers from use in any arena in the country. John Mannes sold his first promotional product in 1957, branching off of his father's (Mac) retail gift shop on G Street. 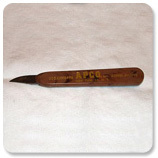 A friend of John's manufactured vending machines which dispensed coffee with cream, an innovation at the time, and wanted to distribute a retractable knife at a vending tradeshow. John knew a knife manufacturer from his retail experience; however imprinting the piece with his friend's company name proved to be more difficult. Perseverance prevailed and the promotional products division of Mac Mannes was born; the rest is history. 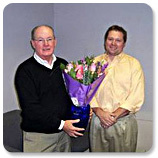 Steve Edwards retires after twenty-nine years at Mac Mannes. Chris Huebner, who started as a stock boy in 1985, takes over ownership. After going thru treatment for breast cancer in 2003 Kathy Siciliano had the good fortune to be involved with a national public awareness campaign that included television commercials and a website to educate women on the importance of the choices of medication available to women after initial treatments such as chemotherapy and radiation. This campaign was an enormous success to the world of breast cancer survivors and their loved ones, so much so she was invited to be on The Martha Stewart show which was exciting and great fun. Kathy has formed a group of women called "Warrior Women" who are all survivors and support not only themselves but anyone newly diagnosed that needs a hand to hold. She feels very privileged to help other women like herself and continues to be involved with different awareness programs.